A beloved teacher from my children's school is hosting a rehearsal dinner for her son and his finace in Seattle. 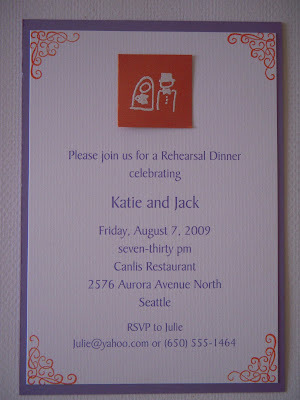 Their wedding colors are purple and orange which they wanted to incorporate into Friday night's celebration as well. Young and fun just like them!